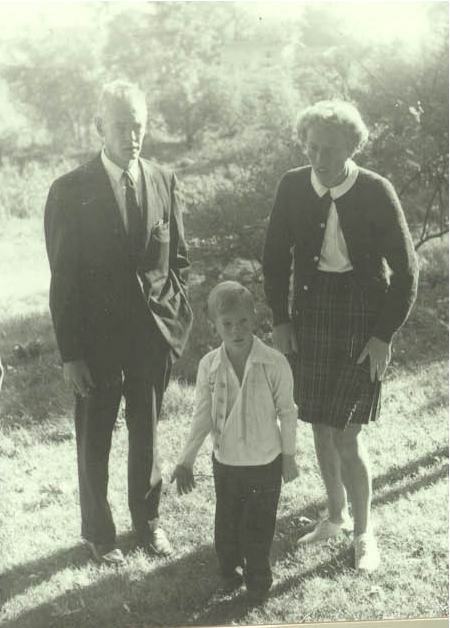 Here's the two of them with me in 1962 or so. 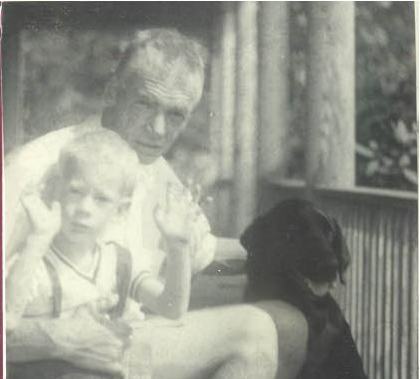 Dad and me in 1960? - with Abbey, the dog that saved my life at least once. 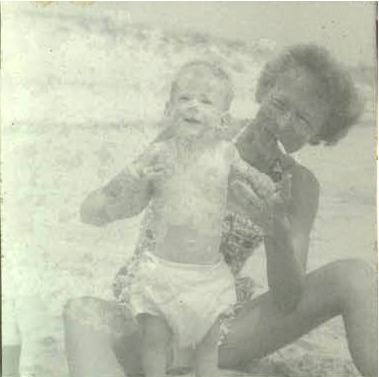 Mom and me in 1957 - one of my first visits to the ocean. 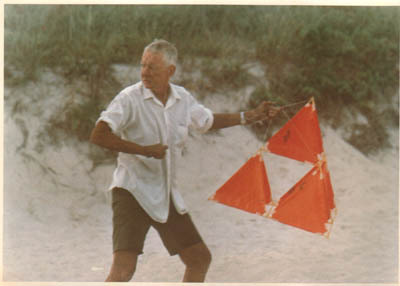 Collis loved kites! Here is my favorite picture of him - Collis the heroic. He was also a hutboy in college at Lakes & Madison and then was an architect.